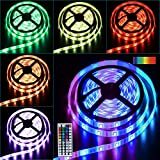 Cuttable and Linkable:With total length of 5M, color changing LED strip lights can be cut to every 3 LEDs without damaging the rest strips, ideal for your DIY decoration. 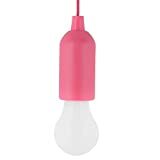 Environmental protection: Energy saving, high brightness, low heat, low energy consumption, pollution-free, small size, no radiation, and beautiful multi-colored. 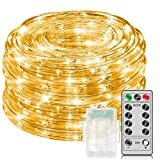 Bendable and Unlimited Creativity: 10 meter long rope lights with 24 LEDs per meter, very flexible and easy to bend into any shape that can meet your different needs of decoration. Safe to use: Output voltage of the mains plug is 24V, and its power consumption is only 6W, very safe for your children and pets. Plug and play: Mount it anywhere you want to decorate. 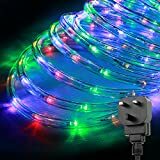 Plug in and enjoy the lights. 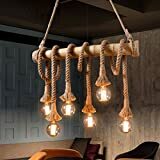 Note: The rope light cannot be connected with each other. Cutting or extending the rope light is prohibited. Waterproof: With the IP44 rating it is protected from splashing water and the power adaptor should be protected for outdoor usage. 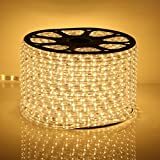 Application: Offers decorative lighting for buildings, windows, walkways, patios, gardens, fences, porches, restaurants, clubs, bar etc. Powered by：3*LR44 battery (battery Included)，which typically last 40 hours or so. 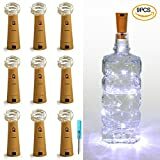 Cork shape of the case，Suitable for some bottles with use effect is better，Extra Thin Silver Wire flexible, easy to banded and shaped as you like. 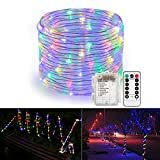 Battery compartment is with ON/OFF switch; no worries of where to find a outlet, simply switch on the lights and enjoy these amazing fairy lights. 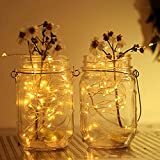 The light effect is peace is great for create romantic atmosphere, idea for any any decorative project. Make your wedding, birthday, party, Valentine, Christmas, Thanksgiving day and other celebration occasions more attractive and charming ! 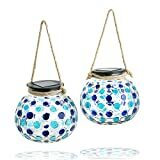 Set of 2: These Gadgy Round Solar Lanterns come in a set of 2 pieces. Every lantern has a ball shape and a diameter of approximately 15 cm. and is 13,5 cm. high. 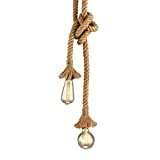 The hand painted dots and rope handle gives them a creative and home-made appearance. Solar powered: These sphere-shaped lanterns are solar powered. The sun charges the battery during the day and the light automatically starts to shine as soon as the sun sets. When fully charged by the summer sun, the lamps can burn up to 8 ours. 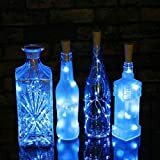 Amazing light effect: The light and dark blue dots on the glass create an amazing and colourful mosaic light effect at night. The energy saving white LED inside the lid provides the perfect amount of light to create a romantic setting in your garden, on your balcony or in your house. Indoor and outdoor: The glass solar lanterns are splash proof (IP44 rated) and suited for outside use. They also are a good-looking addition to your inside decoration. 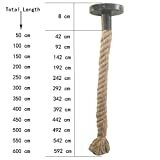 The rope handle makes them suited for hanging. If you leave of the lid and put a candle inside, you can also use them as a decorative table light. ON/OFF switch: The lanterns have a ON/OFF switch at the bottom of the lid. 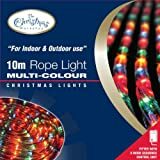 This provides the opportunity to charge the rechargeable AA battery (included) for multiple days during the dark (winter) days or to enjoy the light effect inside. 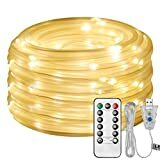 2 LIGHTING MODE FOR YOUR CHOICE: This Rope Light String comes with a button for you to adjust the 2 lighting modes, flash light and steady-on light. Just pick the one to create the atmosphere you like for different settings. 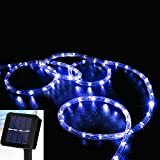 SOLAR-POWERED & NO OUTLET REQUIRED: Equipped with a smart light sensor and rechargeable battery, this Starry String Lights turn on automatically at night after charged in the sunlight during a good day, freeing you from any electricity cost and troubles finding outdoor power outlets. 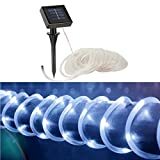 MALLEABLE PVC TUBE COVER: This Outdoor Solar String Lights are characterized by bendable PVC tubes, making it possible for you to shape the lights as you like. Just ignite your imagination! 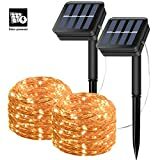 WATER AND WEATHER RESISTANT: Both the lights and solar panel of this Solar Patio String Lights are plastic wrapped with a waterproof level of the IP65 and IP44 respectively. You can just apply them in outdoor areas without worrying about the rainy days. VARIOUS APPLICATION: It can be used for decoration, creating atmosphere, lighting show, like beautifying the fencing, plant, festival, holiday, party, etc. 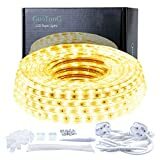 ALED LIGHT has been approved for Amazon Brand Registry and protected with GCID. 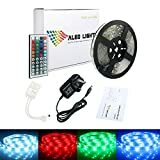 ALED LIGHT is the only authorized seller for all ALED LIGHT products. 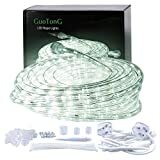 The led strip kit includes all the essential parts for installation, you have no need for another accessories if you don't cut the strip light. 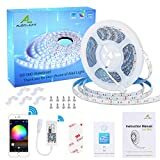 The adhesive tape for 5050 RGB led strip has strong adhesion, which will overcome the common problem (falling off) most led lighting strips have. 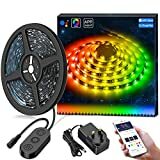 The RGB strip lights are universally used for decorating your rooms(like dinning room, reading room, computer games room, kitchen, porch, etc.) on holidays and events like Christmas and many parties. 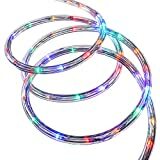 Every parts of Led Strips set including the power supply , IR receiver and Controller are passed the CE and fully tested by our quality control team , thus we are confident to offer one year guarantee for the ALED LIGHT strips light we offer, if any problem in one year , you could contact us with email and request the return, replace or refund. Easy to Install--With easy installation, you can install the light in your own creative style. 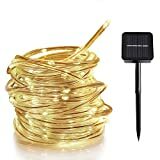 Ideal for Decor: this solar powered string light automatically illuminates during night, which ideal for decorating your outdoor garden, lawn, yard, fence, Christmas tree etc. 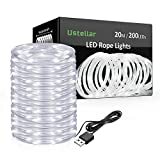 【Bendable & Flexible String Lights】: This wire lights is made of durable, bendable & waterproof 3-strands copper wire, 10M length, durable enough to experiment with any shapes as you like. 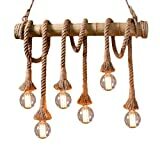 Suitable for decorating all kinds of handicrafts, patio, garden, showcase, bedroom, curtain fairy light decorations. 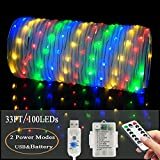 【Great Illumination & Decoration】: Each fairy lights has 100 Super Bright LED bulbs on 10M high quality copper wire, with steady 360 degree viewing angle they illuminate in every direction. The warm white light are ideal for decorations. 【Solar Charge & Automatic Switch】: Auto ON at dark when you turn on the light, Auto OFF by day. Designed with adjustable solar panel. 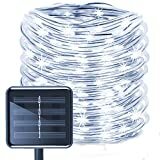 Solar string lights can work continuously for more than 8 hours at night if the panel absorbs enough sunshine during day. 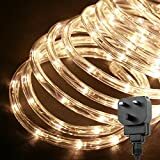 【Safe & Energy Efficient】: High-quality copper wire and Low-output LED Bulb, the LED string lights will not overheat after using it many hours. 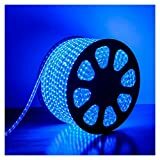 Cut freely: It can be cut off between every 3 LEDs without damaging the rest strip. You can configure it freely. Easy installation: It comes with self-adhesive 3M tape on its back, which makes it easy to install. The control circuit and RGB chip are integrated in a 5050 components, to form an external control pixel. Using the built-in signal reshaping circuit to achieve the signal waveform shaping, and no distortion of waveform of signal takes place. 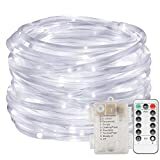 LED STRIP ROPE LIGHTS MAX CONNECTABLE LENGTH: 300ft per lead wire. 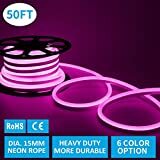 Note USE DIA.15mm neon rope accessories from Shine Decor shop, ASIN [B07214MKR6]. 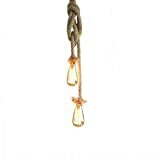 WARRANTY: Shine Decor is a manufacturer brand from China, which has been in LED lighting products since 2004. We have warehouse in Europe and offer immediately after-sells service. 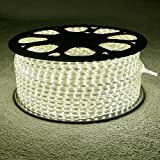 All our LED rope lights come with a 2-year warranty, if you are not satisfied with our products, please contact us by "shine-decor lighting", we will respond you in 24-hours. 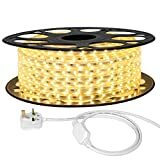 ACCESSORIES INCLUDE: British 3-pin plug，end plug, connector, 5mm heat-shrinkable tube, 10mm heat-shrinkable tube, a tube of glue, aluminium mounting clip, screw. For the straightest possible mounting option, please find "Aluminum Channel Track (SKU GZ-0JZA-TOE4)" in our shop. 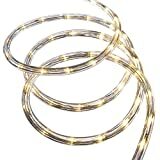 Size: 18mm*4mm, please check the actual width of your LED strip before buying. 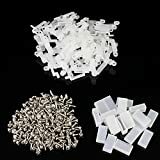 200 pieces screws comes to fix the clip, you do need to find screws other where. A sufficient number, we promise to offer enough items. 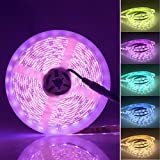 Color your life: This is a RGB Color Changing LED strip. With a controller (which is not included), you can set different static colors, adjust brightness and select various color changing modes. It is widely used for party, wedding, festival, holiday, Xmas, Halloween, etc. It will light up your colorful life. 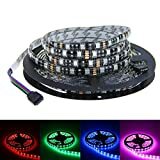 Idea for DIY: The LED strip can be cut off between every 3LEDs without damaging the rest strip. It comes with two connectors on both ends. You can connect two strips without soldering. It is also soft and flexible. You can bend it to any shape you want. 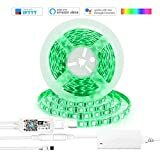 Humanity design: The LED strip comes with self-adhesive 3M tape on its back, so you can fix it on any dry and flat surface without any screws and clips. Besides, it is covered with clear silicone coating, which protects it very well from water and makes it easy to clean. 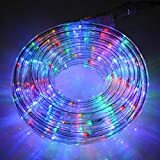 Safe to use: The work voltage of the LED strip is 12V DC. It is touchable and safe to children. 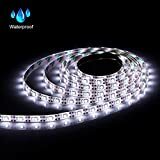 Perfect service: No matter what the reason is, if you are not completely satisfied with our LED strip, please contact us and we'll happily issue a full refund or send you a new one. Two Models to Choose: Always brighten or flashing. Safe Battery Powered: 3*AA betteries required(sellers do not offer).With no messy cords and no need for electricity. 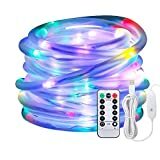 Suitable for The Scene: Wedding,birthday party,outdoor/indoor deco,chrismas tree,living room,baby's bed,patio and so on. 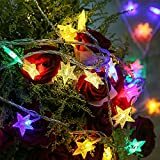 16ft and 50pcs Star Light: Long enough line and enough lights to deco outdoor or indoor. Fast Delivery: Delivered by FBA(Fulfilled By Amazon). 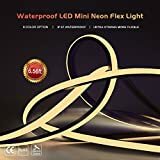 [PREMIUM QUALITY] Our LED Strip Light has adopted the 5M waterproof RGB color changing SMD 5050 300 LEDS and high-grade adhesive glue so that it can last more than 80,000 hours. 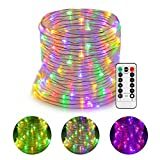 [VARIOUS LIGHTING OPTIONS] It contains multi-patterns and various colors, not just 3 options(red, green,blue), you can choose different colors and quick, slow, flash, fade, jump, auto, and other 6 DIY buttons to meet your mood and preference. 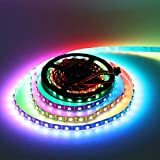 [SUITABLE OCCASIONS] Our RGB LED Strip Lights can be applied to most decorative settings, such as hallways, stairs, trails ,windows, hotels decoration use, theaters, clubs, shopping malls, festivals and performances, etc. 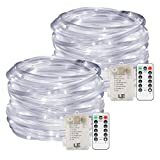 [MOST ECONOMICAL OFFER] Our LED strip light comes with a power adapter and a 44 Key IR remote controller that enable you to operate it even from a remote distance. In addition, our power supply has dual backup mechanism to ensure the reliability of the power. 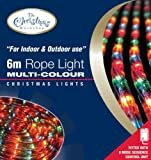 Ideal as decorative lighting for your home or shop, especially to bring out your trade show booth, and to highlight shelves, stairs and corridors. They are also used for facades, roofs, exterior spaces etc. 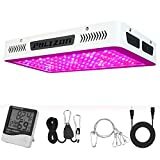 Widely Applications and Used: With 16 million colors, 20 built-in light change mode and speed setting in Magic Home pro/ Magic Hue WIFI APP controlled, the RGB LED light kit could be used as bias lighting or mood lights for desk, PC/HDTV, closet, undercounter, kitchen, stair. Serve as a wonderful atmosphere creator for any occasions and holidays. Solar Energy Charge: Specially designed tilted solar panels, could absorb much enough sunshine from different angles so that much more solar energy could be converted into electricity,energy saving and environmental friendly. 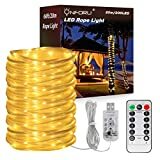 100 Led solar rope lights, alternating in flash and steady mode.With this light strip, your garden, lawn, porch, gate,yard could be added a charming and unique atmosphere. 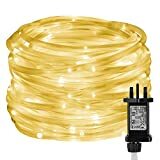 Easy to Install: Flexible copper wire rope lights, easy installation ,easily bent, and shaped around plants, signs, furniture and almost everything else. Waterproof and 2 Modes: IP55 waterproof rating, which means it can be suitable for indoor and outdoor decoration both. 2 Option Modes: According to your needs, you can choose full brightness mode or flash mode.